We hosted a thank you party at the Camelford Arms on Thursday 10 July for the performers, volunteers, venue owners and staff, and other supporters who helped make Brighton Bear Weekend 2018 such a blast. We also announced our fundraising total for the year ending June 2018: a grand total of £10,060 for LGBT causes in Brighton and Hove! 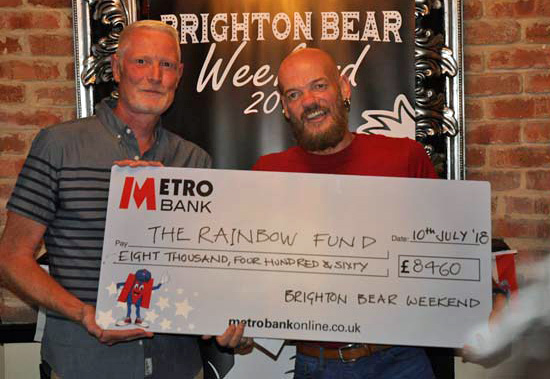 This consists of £8,460 raised at the weekend and our other events during the year for the Rainbow Fund, £750 raised by Lunch Positive at our Bear-B-Que on 16 June, and £850 raised by Brighton and Hove LGBT Community Safety Forum at the same event. This brings our all-time fundraising total to over £35,000! You can read more about this here. 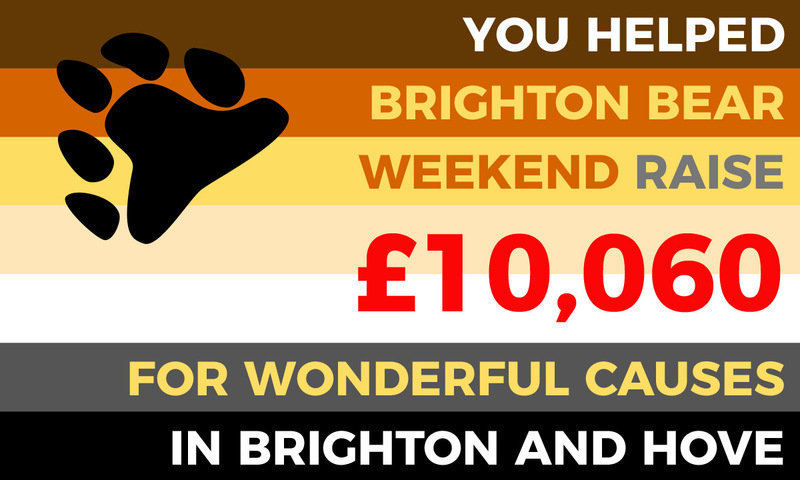 We couldn’t do any of this without you, the wonderful bears and friends who come to Brighton every year and give so generously. We thank you all from the bottom of our hearts, and we can’t wait to see you again soon!